Quake3World.com • View topic - A difficult question about '_skybox' entities. A difficult question about '_skybox' entities. Topic: A difficult question about '_skybox' entities. I'm trying to make a map with two completely separate areas (Box B& box C), both of which have the same skybox, but one of them additionally displaying a _skybox backdrop (from a 128x128x128 small area, BOX A). Is it possible to setup a _skybox entity in a way that it only targets and displays things in the second area (BOX C) of my map? What I'm specifically trying to do is create a kind of seamless horizon, extending the 'ocean' view from any viewpoint in the second area of my map. If anyone has any tips or a better idea on how to make a horizon with water seem endless (seamless), I would greatly appreciate it! I've looked at the q3map2 code with a keyword '_skybox', and it seems it's impossible to make it affect only one skybox. Perhaps I could recompile the q3map2 code with a slightly modified _skybox functionality..
A map I still haven't finished. 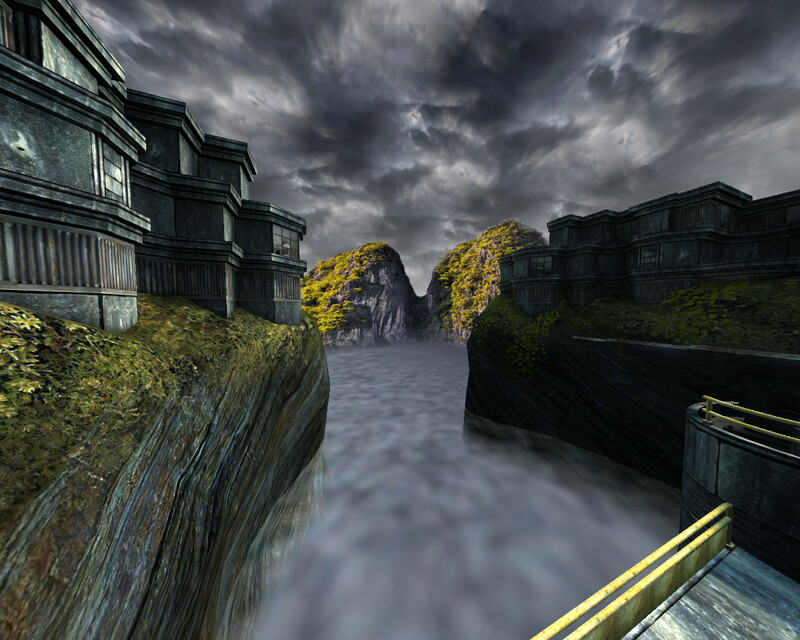 The water uses alpha fade shader and brushes, and the backdrop (the limestone island bit) uses an alpha channel and is projected using the _skybox entity. Last edited by AEon on 01-06-2016 11:46 AM, edited 1 time in total. Reason: lvlshot'ted the image. That really is gorgeous dONKEY.